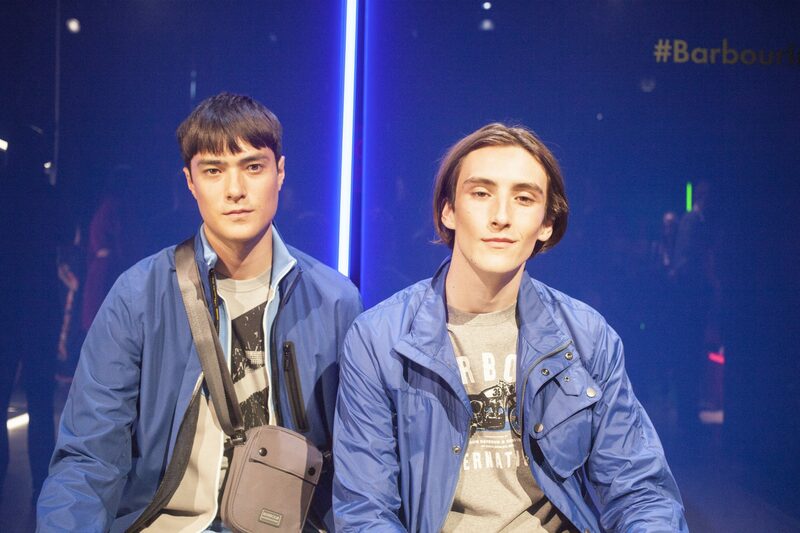 Inside the Institute of Contemporary Arts on the Mall, Barbour International celebrated ‘The Badge of an Original’ and the heritage of its brand with its SS19 collection. Looking to its roots in motorcycle racing, the presentation space displayed important parts of its history in the distinctive yellow and black of the logo. There was also an image of actor Steve McQueen (who raced in Barbour International) and a promotional film mixed with archive footage, set to a cinematic soundtrack and the sounds of a revving motorcycling engine; even a real motorcycle with the iconic waxed jacket was on display. 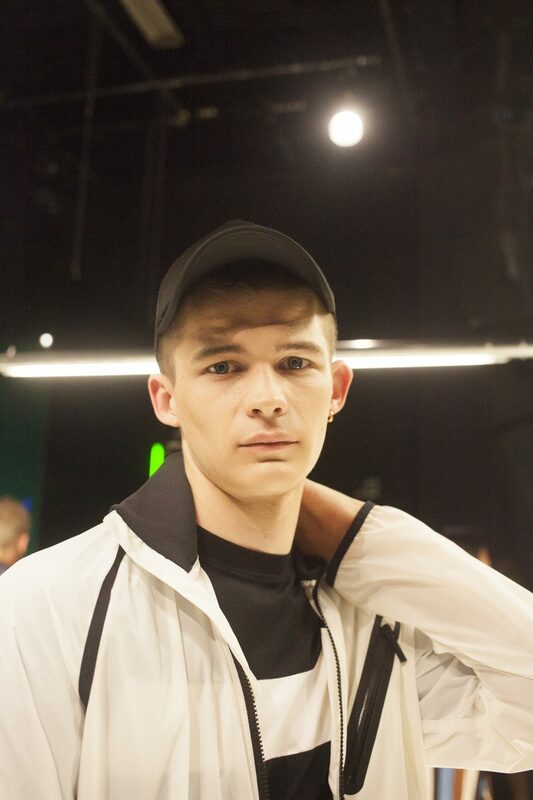 Although the characteristics of the label’s aesthetic remained a staple, this selection saw a stronger streetwear influence come through with the inclusion of pieces from the Barbour International Sports collection. 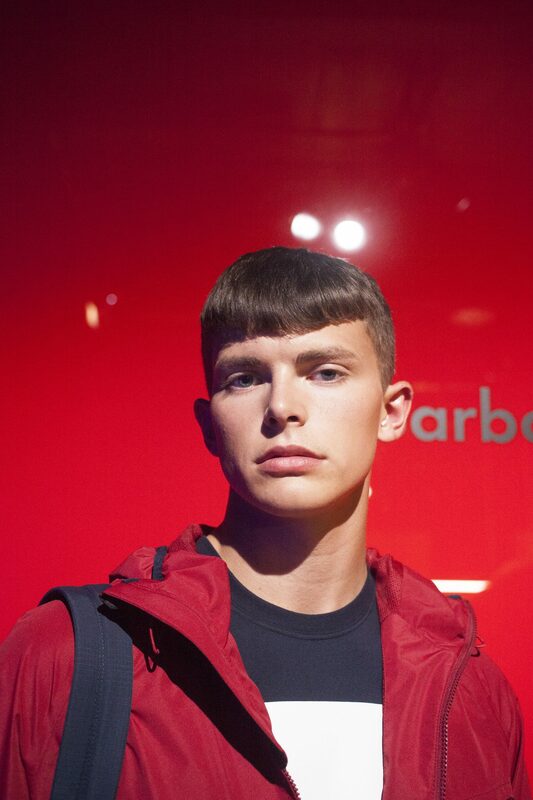 Graphic t-shirts with various versions of the Barbour International logo acted as a base layer underneath checked shirts and lightweight jackets; the distinctive slanted pocket of the waxed jackets was reinterpreted as a zip pocket in many looks. 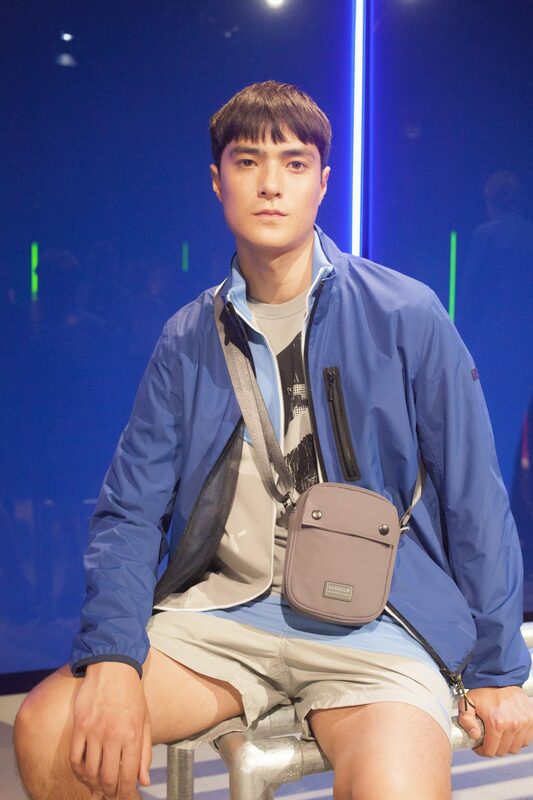 Outfits were completed with comfortable tracksuit bottoms, smart chinos and shorts, as well as rucksacks and duffel and cross-over bags. 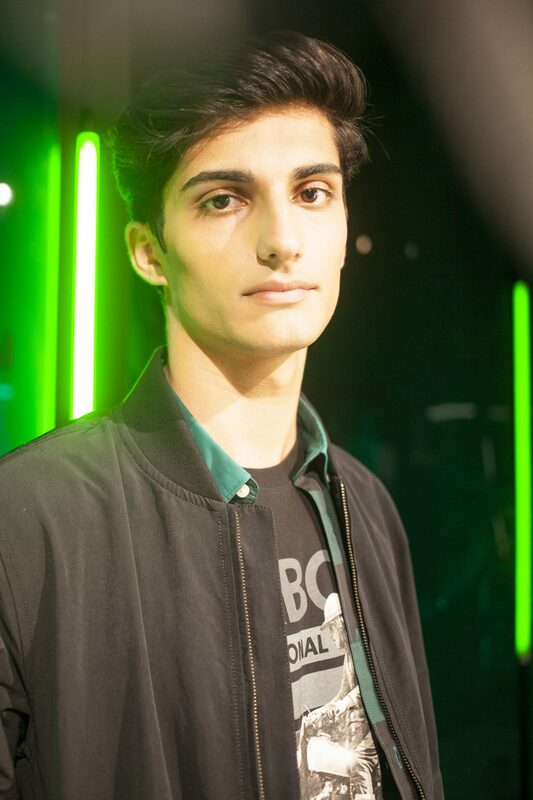 The presentation set up mirrored the colour palette of the collections, walls of coloured acrylic and strips of light matching the models outfits of red, blue and green. The looks were predominantly tonal, often just a splash of colour against black and white pieces. There was also footwear on display for the first time, casual styles with the brand logo and a colour palette to match that of the clothing collections. Overall, the styles on display were very wearable and will do well with customers that trust the brand and its products. Bar a couple of biker style jackets, the International Sports collection appears to be the more prominent collection here, but it could be a matter of styling. While it may push its motorcycling history, it would do well not to completely lose sight of it in its clothing.